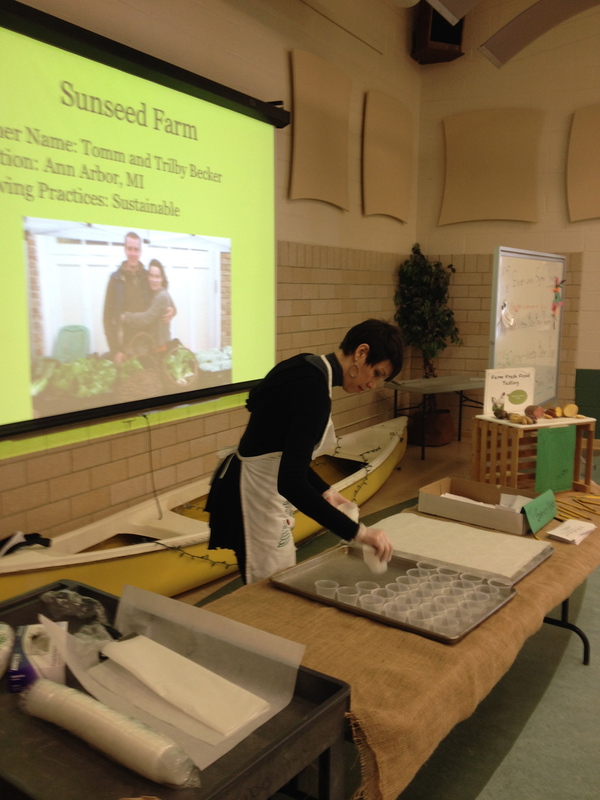 December’s Farm Fresh Food Day events happened in all 4 Dexter Elementary schools, and allowed students to sample locally grown, roasted potatoes seasoned with herbs grown in the Creekside school garden. Students gave their reactions, including one survey decorated with the phrase “Potatoes Are Majestic”. 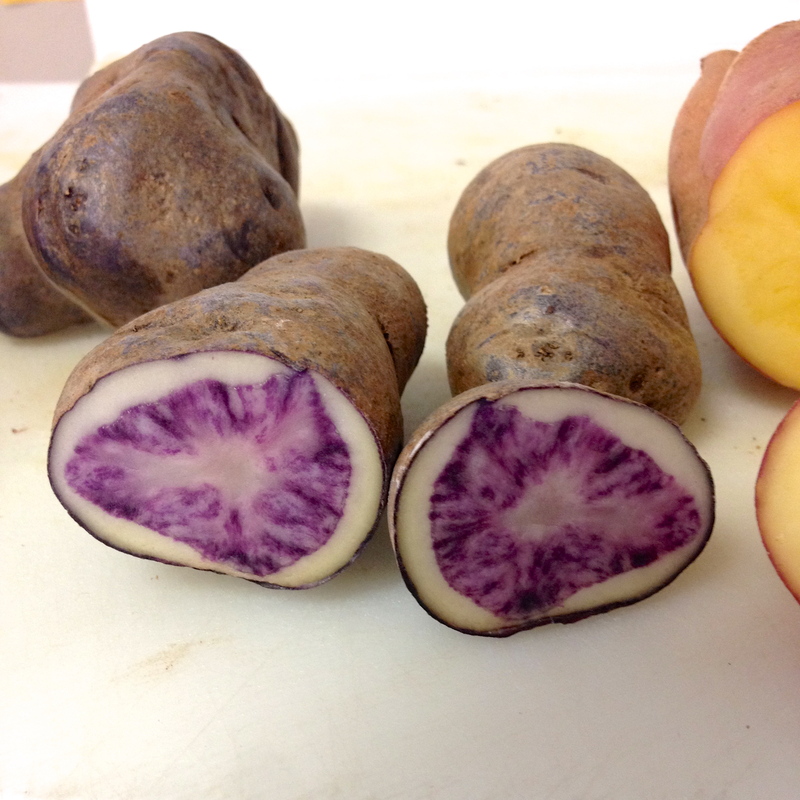 The “All Blue” potato was one of 4 varieties students sampled. Popular potatoes! 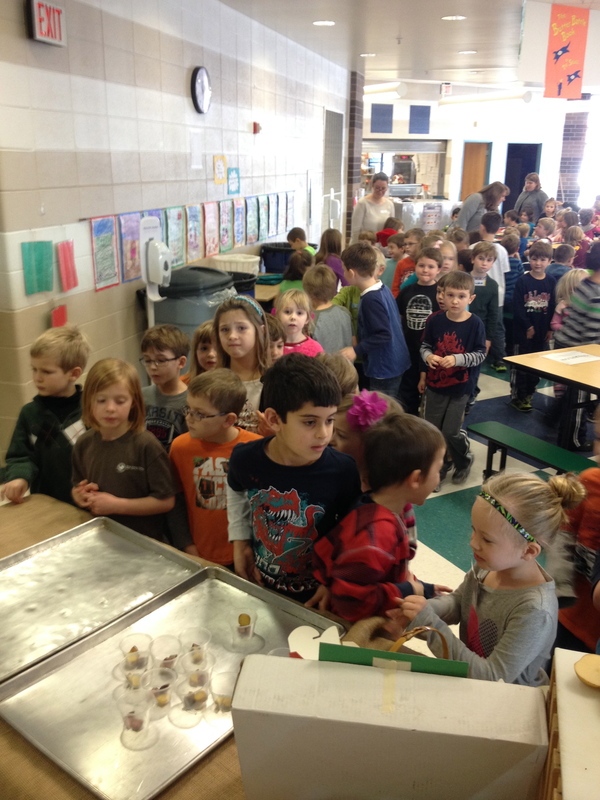 Students at Cornerstone lined up in droves to get their samples, and many asked for seconds! Students were able to see a map of Michigan that showed the location of their school in relation to the 2 farms where the potatoes were grown. Our Farm to School Coordinator discussed the concept of “Food Miles” with students who took time to look at the map. 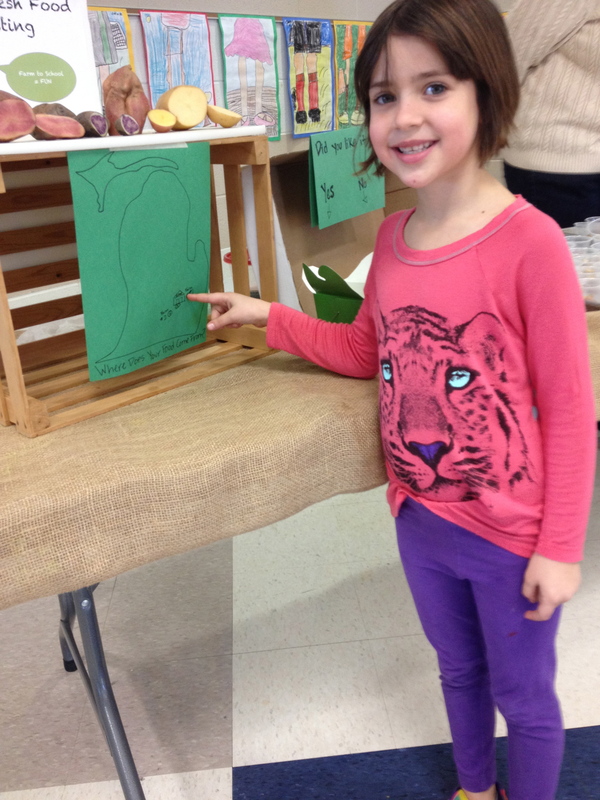 Students learned about “Food Miles” while looking at a map of MI marked with the farms that grew this month’s food. “Here’s California!” Students applied their new knowledge of the fact that much of the produce we get at grocery stores and in school lunch comes all the way from California. Students also watched a slideshow of images and information about the farms that grew the potatoes, nutrition facts about potatoes, and information on how to grow potatoes. A slideshow of images and information provided students with more context for the food tasting. As the comments from last month showed us, the peanut gallery is joyfully provoked by the survey response format. 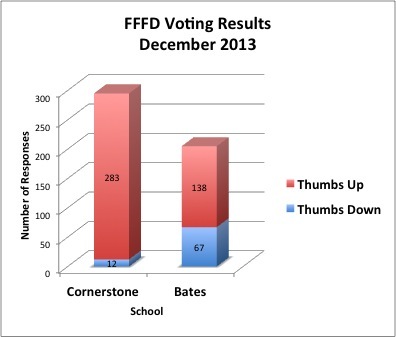 Overall, the numbers showed that the students had an overwhelmingly positive response to the farm fresh potato samples. 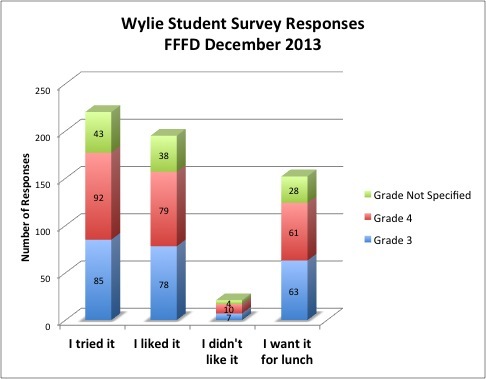 We are excited to see what future survey results reveal about students’ opinions about farm fresh foods in their schools. 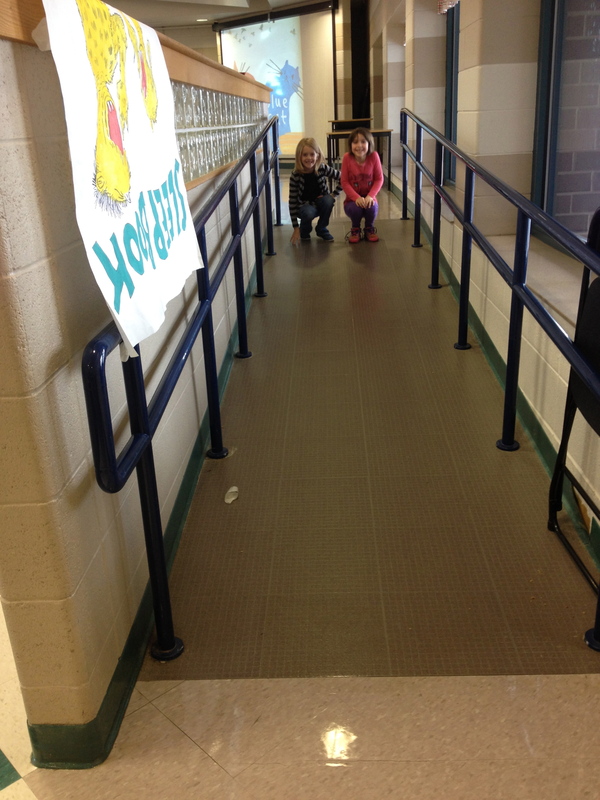 I love that you incorporated so much feedback from the kids. Great ideas!